Enchanted Excurse: Well Hello There!! Hello Loverlies!! 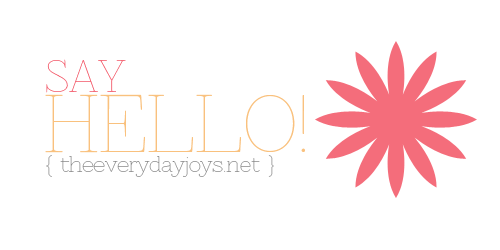 I decided to attempt this link-up called Say Hello that theeverydayjoys.net posted on her blog page. :) YAY!! Exciting!! If anyone would like to join in click the link above!! alrighty, here we go!! 1.What is your morning routine? I don't really have anywhere to go to every morning. When I do have to go somewhere and get dressed up and what not. I don't do really too much. I wake up eat breakfast, shower. Sometimes I shower first then eat breakfast. lol I then have to blow dry my hair, which takes like almost an hour it feels like. To be honest I think it takes 30 minutes. Sometimes I just go ahead and put my makeup on before blow drying my hair. I always get really hot blow drying my hair, it's very annoying. If I do anything else to my hair I will straighten it because it is quicker. I also like how my hair is straightened. :) Then I get dressed and walah. I'm ready. It can take up to 2 hrs for me to get ready sadly. I just had to grow out my hair though!! lol I like my hair long. 2.Are you on Instagram? If so what is your username? Who are three of your favorite IGers? Yesh!! I am on Instagram You can find me at EnchantedExcurse. Three of my favorite IGers are Courtney Cook, Audiosoup, and GIGGOO_FON. I like Courtney and Audisoup because of the loverly photography they post. GIGGOO draws the most adorable lil characters I love to look at. :) I recommend following them!! 5.What are your favorite holiday traditions? We haven't really started any traditions for us yet. I believe that will happen when we have children. Like the Elf on the shelf and what not. The traditions we do have are we make sure to have a small thanksgiving meal just me and my hubby. Whenever my brother Ricky can join us we let him come over. Another thing we always put up our Christmas tree around Thanksgiving. But that is pretty much it for traditions. Maybe I should start having a few more though. Traditions are fun around the holidays!! 6.Tell us one random fact about you. Make it fun!! I have a lot of weird stuff I do. lol I will admit I am scared of the dark. When it is time for bed, if I am the one stuck turning off the hallway light because my hubby is in the bedroom already. I usually switch that light off and run to the bedroom. Very silly but true. Hope y'all enjoyed getting to know me!! Leave me some loverly facts about yourself in the comments if you want!! I Would love to read them. I decided to put a silly picture of me at the end of this post for y'all to giggle at. Ta Ta For Now!! Now that I look at it again. 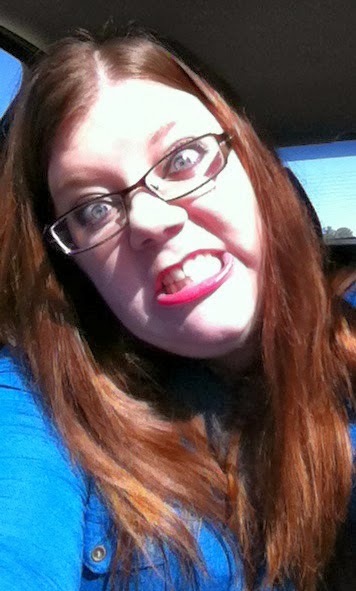 I'm kinda scary lookin!! LOL Beautiful. AWESOME!!! THank you for followin me on IG I shall follow you back if i'm not already!! :) And thank you for the comments I love them!! Hey! just stopped by from the link up :) Your pic made me giggle. I too am afriad of the dark and leave the closet light on every night, you know "for the baby". ha :) Just found you on IG! Go brides of 07! A lifetime ago right? How did we ever plan without pintrest?